Moving away from the home button could allow for future iPhones to be used in a variety of different orientations —and different physical form factors. AppleInsider explains how the absence of a physical home button on the iPhone X could set the stage for future radical design changes, amid rumors that Apple is interested in pursuing a folding iPhone. 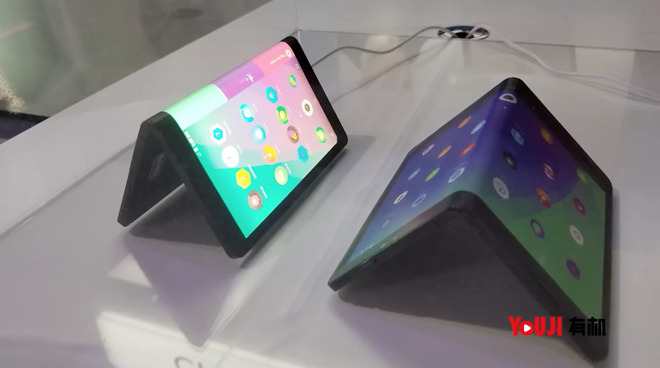 Pie-in-the-sky rumors about future Apple products are nothing new, and reports from the Far East this week talked about a potential foldable iPhone concept, rumored to be in the works for 2020. Three years is, of course, seemingly an eternity in the smartphone space, meaning such rumors should be treated with a healthy dose of skepticism. And yet there is still good reason to believe that Apple is, at the very least, interested in the concept of a foldable iPhone. This was further bolstered on Thursday, when AppleInsider discovered a new Apple patent application for foldable displays on portable devices. The reports have generated speculation and curiosity, but also some confusion. A number of readers and commenters have wondered: What could possibly be the point of an iPhone that folds? Unless Apple envisions a fashionable return of cargo shorts, the company must undoubtedly recognize that jumbo-sized iPhones do not conveniently fit into all pockets or purses. And reports suggest that the company is working on a so-called "iPhone X Plus" for 2018, boasting a massive edge-to-edge 6.46-inch display that would be the largest iPhone screen to date. Phones and their displays continue to get bigger, as customers prefer large, bright, gorgeous screens for viewing content, watching videos, playing games and more. But as phones get bigger, they're also becoming even less portable and pocketable. Apple's own history shows they are acutely aware of this: When the iPhone 5 launched in 2012 with a larger 4-inch screen, Apple made a commercial showcasing how an average person's thumb could reach all four corners of the device when being used one-handed. The commercial concluded by calling the design of the iPhone 5 "a dazzling display of common sense." When the iPhone 6 got even larger with 4.7- and 5.5-inch displays, Apple introduced a new feature dubbed Reachability for one-handed use. It lets a user can double-tap (but not press) the home button to bring the display to half height. With the looming launch of the iPhone X and its tall 5.8-inch display, and a so-called "iPhone X Plus" rumored for 2018, it might seem as though Apple has lost focus on the pocketability of its devices. But what if it's waiting on affordable, mass-market technology to catch up? Enter the rumors of a foldable iPhone in the works. While current technology is not quite there, it's possible that future devices could fold in half (or in some other manneer) to take on a smaller, thicker form factor. The advantages of this are clear: Phones, tablets and other devices could potentially boast bigger displays, while also becoming even more portable than they are now. Clamshell designs are nothing new, of course. But they're almost impossible to accomplish with modern, large all-touchscreen devices — at least with current technology. There have been attempts to reconcile this in the past. 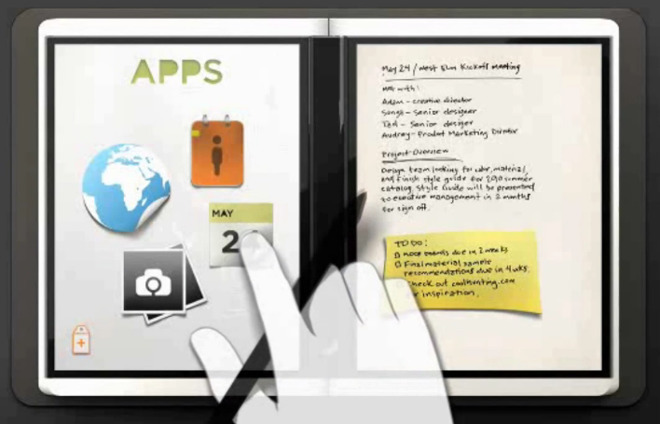 Microsoft famously canceled a two-screened tablet concept dubbed Courier in 2010. It required a physical, visible hinge in between two independent displays. It a novel concept, but it was also ugly. But that was 2010. And we're now looking at a possible 2020 iPhone, with all of the advances in technology that have come and will continue to arrive. 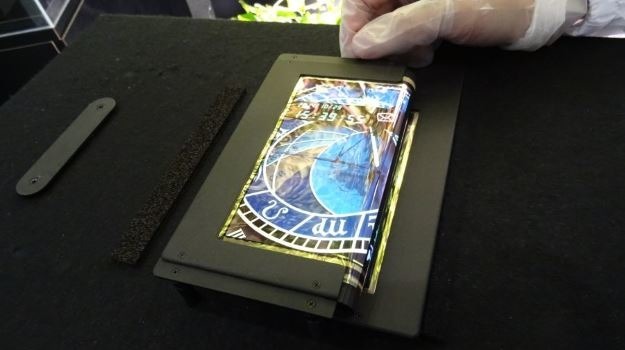 Suddenly, a foldable, pocketable iPhone with a seamless display isn't so far fetched (even if it isn't an imminent reality). And there are signs that Apple's current design philosophy is paving the way for possible new, more dynamic form factors. For years, the iPad has been usable in any orientation the user wishes, irregardless of where the home button is located. Not only portrait and landscape, but also in an "upside down" portrait mode where the home button is at the top of the display. The intent behind this is clear: Apple wants the physical form factor of the device to get out of the way, allowing the user access their device in whatever manner they see fit. The iPhone, until now, has lacked this capability systemwide. Apple added the ability to access the iPhone home screen in landscape mode starting with the introduction of the iPhone 6 Plus, but non-Plus models lack this, keeping the device in portrait mode with the home button at the bottom. But next month's launch of the iPhone X heralds a fresh start for the iPhone interface, one without a physical home button anywhere on the device. 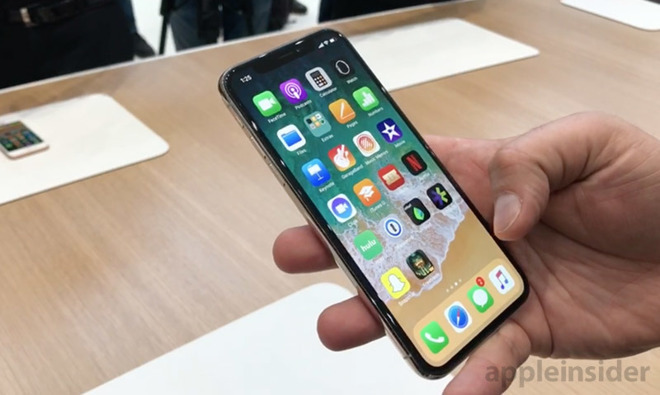 With a new edge-to-edge display, Apple has replaced the home button with a new gesture where users swipe up from the bottom of the screen to return to the home screen. The short-term implications of this are a new way of interacting with the device and a new edge-to-edge form factor. In fact, without a home button on the iPhone X to invoke Reachability, it's believed that Reachability is dead and the iPhone X was designed solely for two-handed use. But thinking longer term, ditching the home button could allow future iPhones to not only be used in any orientation, like an iPad, but also to be used in any physical state —like when folded in half. A return to one-handed use? A folding, pocketable iPhone might conjure up visions of an early-2000s Motorola Razr flip phone, where the clamshell design helps to protect the display. But what if, instead of folding inward, Apple were to develop a phone that folded in half with the display on the outside? Suddenly, the lack of a home button paired with an edge-to-edge display takes on new meaning. Of course, this is purely speculation. But a folded half-height iPhone could allow new use cases beyond just portability. With the display facing outward, a folded iPhone could potentially be usable in this state, with only half of the screen powered on. For situations where a user wants to simply pull their phone out of their pocket and send a quick text, this might be more convenient. And given how thin current smartphones are, using one folded in half —with double the thickness —on an occasional basis wouldn't be so bad. In fact, in that state, it might still be even thinner in your hand than going back to an iPod. A folded iPhone would introduce new complications, such as where the camera should be located, how the user interface might adapt, and how applications would be displayed. But without a physical home button, one potential concern has already been addressed. Apple secretly experimenting with new and advanced technologies well in advance of their release is not surprising in the least. The company's chief designer, Jony Ive, revealed in an interview last week that the company was working on the edge-to-edge design of the iPhone X for 5 years. 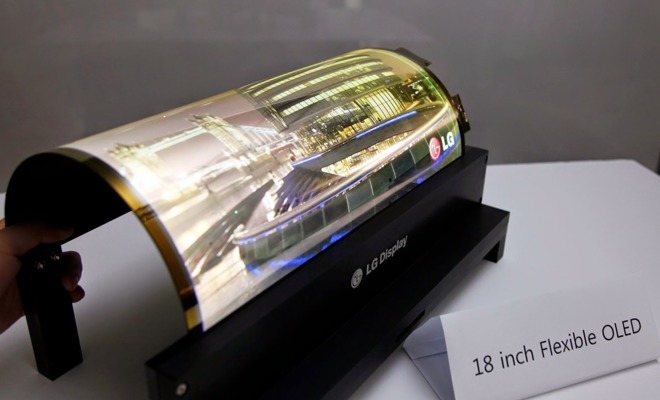 The rumor mill claims that Apple is internally hoping that OLED maker LG will be able to satisfy its demands for a foldable display by 2020. But in that same interview, Ive also noted that Apple's design philosophy seeks to solve problems, including ones that Apple itself created. Consider the Apple Watch: Ive admitted that overuse of smartphones is a side effect of Apple's creation of the iPhone. He said that the Apple Watch Series 3 with LTE aims to let users leave their phone behind on occasion, hopefully making overuse of the iPhone less common. Like the Apple Watch aims to lessen our iPhone addiction, it's possible that a folding phone could address our big phone problem. Progress takes time, and things can change. No one but those deep inside Apple's secret labs knows how realistic or likely a foldable iPhone is. And even if it does become a reality, it's still at least a few years out. Perhaps the biggest question mark with a potential foldable iPhone would be how the cover glass would work. Would Apple be willing to ditch durable Gorilla Glass to achieve a foldable design? How scratch- and shatter-resistant would the new display be? Would it be possible to keep features like 3D Touch with a new, flexible display? It's unlikely that this week's rumors will be the last we hear of a foldable iPhone. 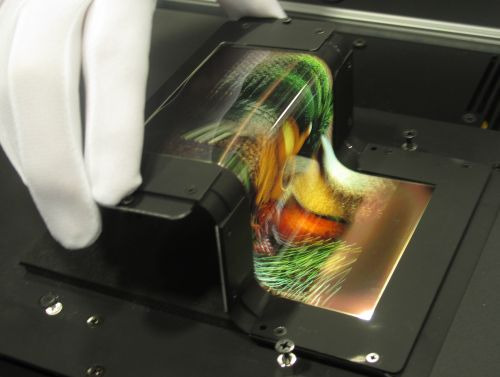 Competitors like Samsung and Lenovo, too, are already racing to introduce their own foldable phones and tablets. 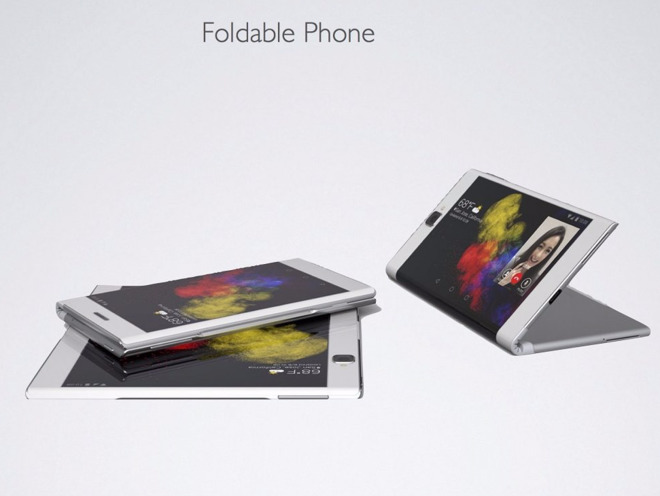 Whether or not foldable devices actually become a "thing" remains to be seen. But when anticipating the future of technology, one thing is clear: It's best to be flexible.